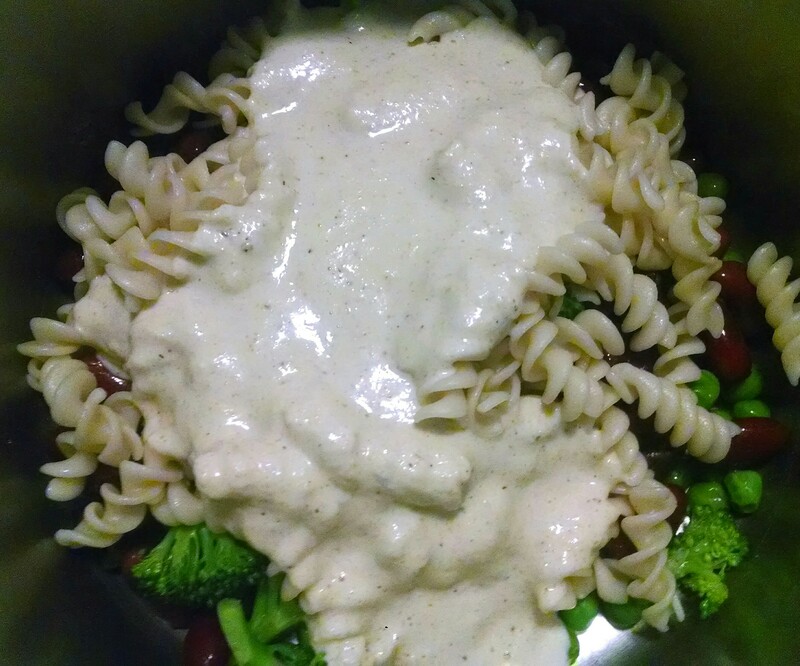 This sauce is so easy, creamy, flavorful, and just plain delicious!! I enjoyed it with some delicious pasta (ingredients to come at the end of post) but this would be amazing on broccoli or cauliflower, as a dip, and, and, and. It is just simple & amazing. Put it on any and everything!!! Such as…. This was my dinner tonight 🙂 SO GOOD!! I cooked my pasta and used the water to make my sauce…Next I sauteed the mushrooms and broccoli until slightly tender. Then added peas and kidney beans to warm up. Lastly, I added back in my pasta and sauce, tossed together and top with a little nutritional yeast and/or Vegan Parm. **I had leftover sauce and am not upset about that at all 🙂 Just keep refrigerated. 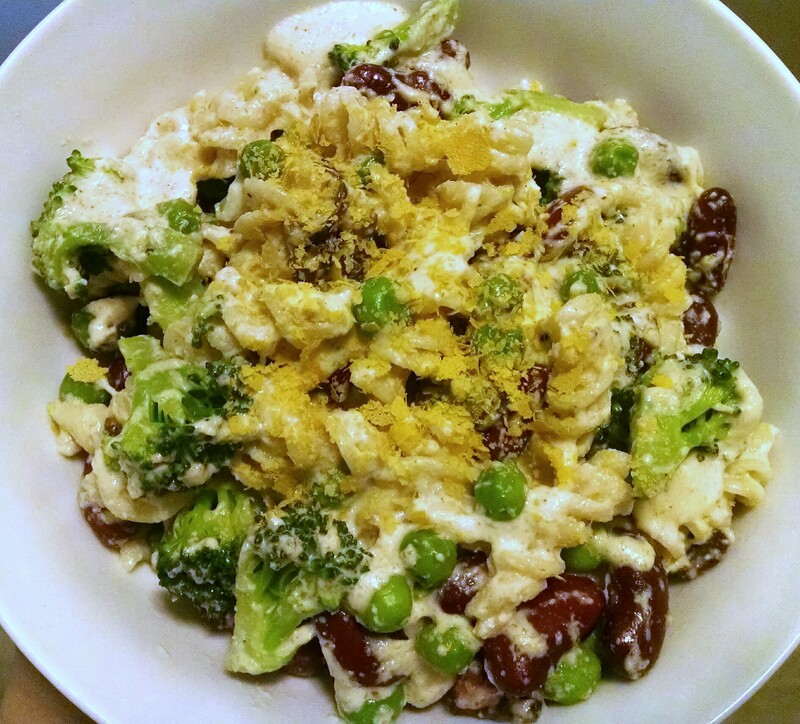 Posted on May 7, 2014 by OregonKitchenPosted in VeganTagged cashew Alfredo, healthy Alfredo, healthy pasta, quick dinner, quick meals, quick vegan, vegan, vegan Alfredo, vegan cashew sauce, vegetarian pasta.